TechnoServe proudly celebrates fifty years of impact and millions of lives transformed through the power of private enterprise. As we reflect on all that TechnoServe has accomplished together with our supporters, partners, and enterprising people around the world, we are excited to catalyze even greater change in the years ahead. I met Emiliano Flores Bello last year, when I visited a TechnoServe project in Mexico that is working to improve the livelihoods of vegetable and fruit farmers. As we stood on Emiliano’s farm, he started to tell me his life story. He had worked that land since he was 13, but it was a tough way to make a living. By the time he was in his early 20s, he had faced tragedy and struggle. He had lost a child, his crops had failed, and his debts were mounting. To support his surviving child and his pregnant wife, he did the only thing he could think of: he set off towards the United States in search of work. But getting there would be yet another trial. It took him nine days to walk across the desert into the United States. He carried only a bit of food his wife had prepared for him, six liters of water, and some cloves of garlic to ward off scorpions and snakes. He suffered through searingly hot days and frigid nights. He dodged the criminal gangs that rob and extort migrants. By the eighth night of his trek, Emiliano was running out of water. He was maddened by thirst, and he sat down on a rock, prepared to die. Miraculously, however, his group found a watering trough for animals. There was enough water in it to keep Emiliano going, and the next day he crossed into the United States. He found work in California, and after he’d saved up enough to pay off his debts, he returned to his village and his family. However, if he wasn’t able to find a way to earn a living on his farm, Emiliano would have to leave his family again and make another dangerous crossing to the United States. 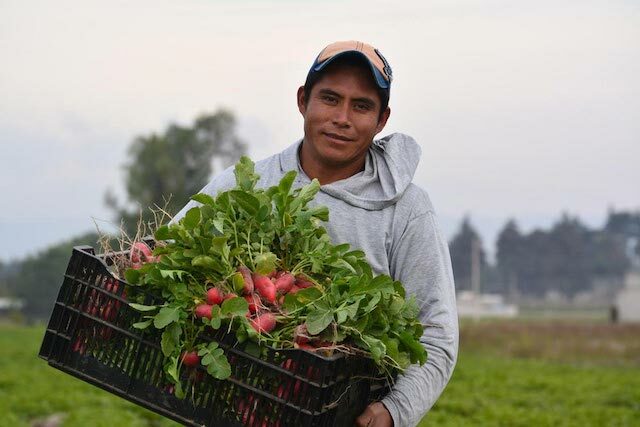 We estimate that Emiliano Flores, a farmer in Mexio, is able to earn about $20,000 per year from his farm after participating in a TechnoServe program, over twice the average income in Mexico. Explore more of TechnoServe's history – along with stories and perspectives from staff, beneficiares, and partners – on our new 50th Anniversary website. As he described his heartbreaks and tribulations, Emiliano, a tall, strong man, broke down crying. All of us who heard Emiliano tell his story that day were deeply moved–tears ran down our cheeks, too, as we stood together in a field of cilantro and spinach. But Emiliano’s story had a happy ending. TechnoServe launched the project to support farmers in his community, and Emiliano enrolled. He learned how to improve his harvests, and we helped the farmers to form a producer-owned company that sells their crops in more profitable markets. We estimate that Emiliano is now able to earn about $20,000 per year from his farm, over twice the average income in Mexico. Emiliano doesn’t think about leaving his community anymore. He can now afford to send all of his children to school, and he feels proud that they will surpass his own sixth-grade education. “Today, I know that I can pass on something more than debts to my children—I can give them a place in an honest company created by farmers,” he said. As I reflect on TechnoServe’s 50th anniversary, I think about the millions of lives, like Emiliano’s, that TechnoServe has helped to change over the past five decades. I think about the people who have been able to stay in their communities, surrounded by loved ones, rather than moving away to look for work; the parents that have savings for the first time; the babies who have been able to receive proper medical treatment; the families that now have a real roof over their heads and running water in their homes; and the children who have been able to go to school. 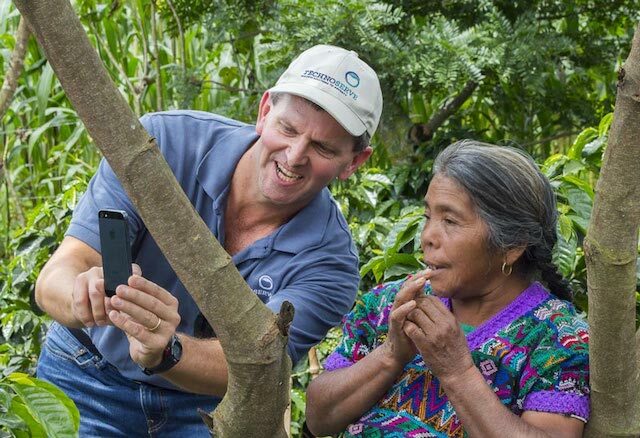 William visits with coffee farmers working to improve their yields in Guatemala. By asking questions like that, Ed was able to build an organization in his own image: entrepreneurial, impact-driven, and deeply committed to the people it serves. Over the years, thousands of employees have helped to ensure that TechnoServe has stayed true to Ed’s vision. There is Ndinagwe Mboy, a young woman from Tanzania. 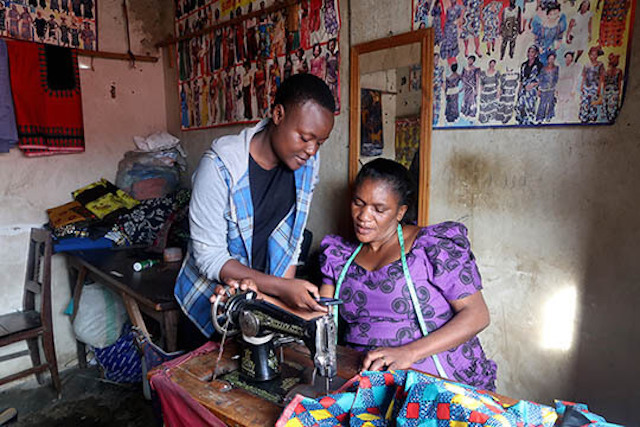 When she started as a participant in a TechnoServe project, Ndinage had no income, and she was so shy that her own parents doubted that she could succeed in the program. But Ndinagwe was a dedicated participant, learning a trade, business skills, and personal confidence. 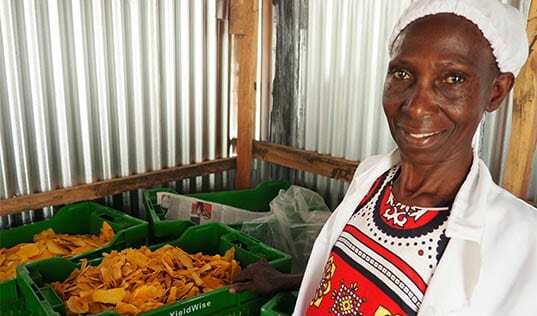 When she graduated, she started a business incubating eggs and raising pigs, which provided her with a steady monthly income. She saw how transformative the training and mentoring had been for her, and she wanted to ensure that other women would have access to the same opportunities. She applied to serve as a business counselor with TechnoServe, training and mentoring other women entrepreneurs. “When I started training women, I was not afraid. My voice had increased and I felt well-equipped to do the work,” she said. There is Edwin Galarza. In the early 1990s, he traveled to Lima, Peru to lead an internal audit of TechnoServe’s country office. He was on a call with headquarters when the Shining Path detonated a bomb outside his window. So what did he do? He ducked under a table and continued the call, relaying comments and recommendations from the audit as the employees on the other side of the line heard more explosions in the background. “The work had to be done,” he said. Edwin’s actions were extraordinary, but that kind of dedication to our mission has driven TechnoServe’s impact over the years. 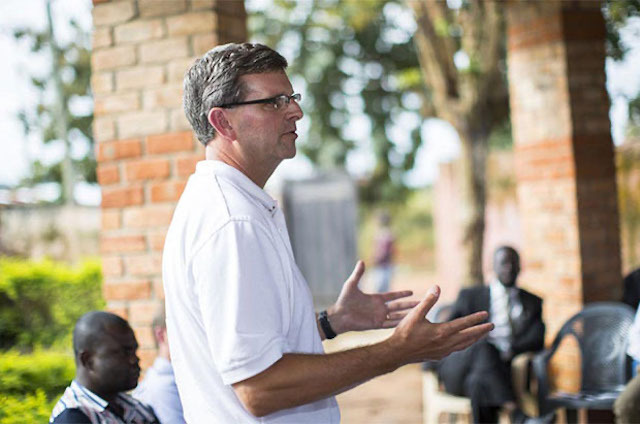 This anniversary is a time to think about how TechnoServe can build upon this incredible legacy and reach more people; with 900 million people around the world still living on less than $1.25 per day, the need is as urgent today as it was on the day that Ed first opened the office doors. For TechnoServe to make a difference in more of these lives, we must continue to focus on scaling up our impact. This starts by identifying what works, figuring out how to do it more efficiently, and sharing that information both within TechnoServe and beyond. That’s how we’ve grown an entrepreneurship program in East Africa that trained 15,000 young people in its first phase to reach 48,000 in its second. We must also work to strengthen our partnerships and build new ones. From its very foundation, TechnoServe has been committed to engaging the private sector to improve the livelihoods of farmers, workers, and entrepreneurs. Today, many of the countries where we work receive more private foreign investment than development aid. By helping companies to incorporate smallholder farmers into their supply chains, or micro-entrepreneurs into their distribution networks, we create mutually beneficial, lasting relationships that deliver “shared value” to businesses and communities alike, and continue to deliver impact long past the closing date of a project. Gloroise Uwayezu (left) shares her experience starting her own brick-making business in Rwanda. Finally, we must also have a better understanding of our impact. TechnoServe has a longstanding commitment to measurement, evaluation, and learning, and I am happy that we continue to make investments and improvements that deepen our understanding of our work’s impact. We are conducting randomized control trials to evaluate the effects of our entrepreneurship programs and engaging in longitudinal studies to gauge the lasting impact of our coffee projects. Participating in these kinds of rigorous studies makes us smarter as an organization: it helps to tell us what is working and what needs to be improved, and it arms us with evidence to promote effective approaches in our sector. By focusing on scale, partnership, and measurement, we will ensure that we can help many more Emilianos to find their opportunities and many more Ndinagwes to find their voices. That’s not what I remember best about Gloroise, however. Normally, when officials from an international organization visit a community, participants drop whatever they’re doing to meet with them. But not Gloroise: she made us wait, because she had a lot of work to do. 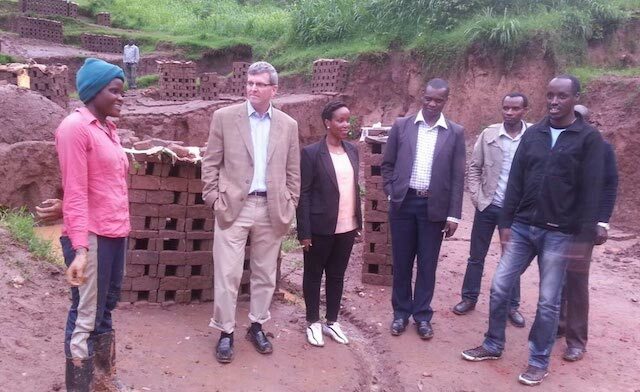 I had to roll up my pants and walk through deep mud to find Gloroise making bricks herself next to her workers. She was proud of what she had accomplished, but she was focused on the tasks that lay ahead. Just like TechnoServe. Explore more of TechnoServe's history – along with stories and perspectives from staff and beneficiares, both past and present – on our new 50th Anniversary website. Kellogg Company and TechnoServe are partnering to fight food loss, from the farm to your refrigerator. 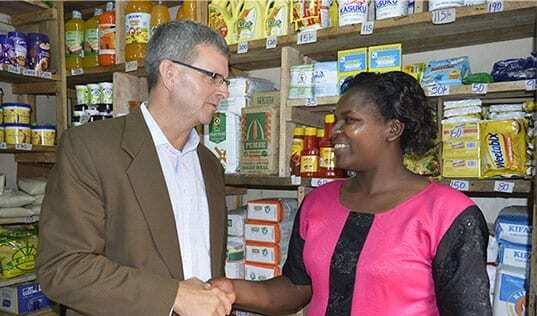 In an op-ed for the Guardian, TechnoServe’s President and CEO explains how, in the face of likely cuts to foreign aid, business continues to be a major force for poverty alleviation. 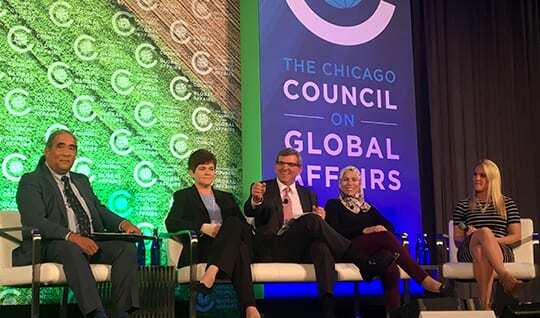 TechnoServe President and CEO William Warshauer talks “Farming, Food and the Future of Work” at the Chicago Council Global Food Security Symposium.